Theresa G. DiMaio, Vincent J.M. 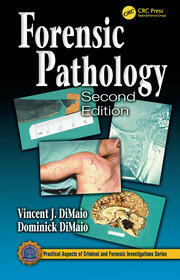 DiMaio, M.D. Criminal and civil cases often cite “positional asphyxia” as the cause of death in such instances, blaming the rough treatment individuals may have received during restraint. The authors of Excited Delirium Syndrome: Cause of Death and Prevention, however, propose a different explanation. 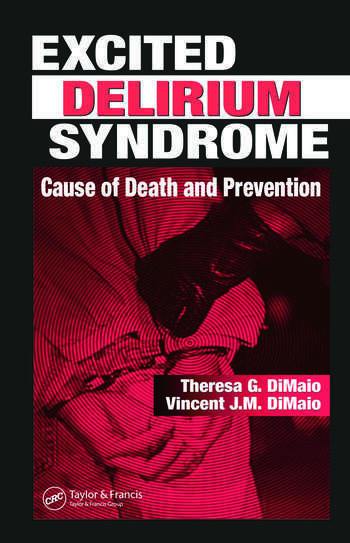 In this groundbreaking book, they cite the reason being a condition called Excited Delirium Syndrome, in which the normal physiological changes produced by violent activity culminate in sudden cardiac death, often in conjunction with the effects of a drug. After introducing the topic, the book recounts the condition’s history and examines traditional explanations as to why such deaths occur, and then counter as to why they are not justifiable. In addition, it illustrates the effects that stressors, legal medication, and drugs of abuse have on the cardiovascular system. The effects of underlying disease, including endogenous mental disease are also discussed. In addition, the book details prevention, assesses the role of first responders, investigators, and mental health professionals, and describes “high-risk” individuals. These topics, along with the many actual case studies that provide further insight, make Excited Delirium Syndrome: Cause of Death and Prevention an essential resource for anyone treating or interacting with those that may have this disorder. "The authors’ poignant description of what those who work in the trenches experience on a daily basis is alone worth the read and rounds out the entire discussion."